Pearl Drop Earring. 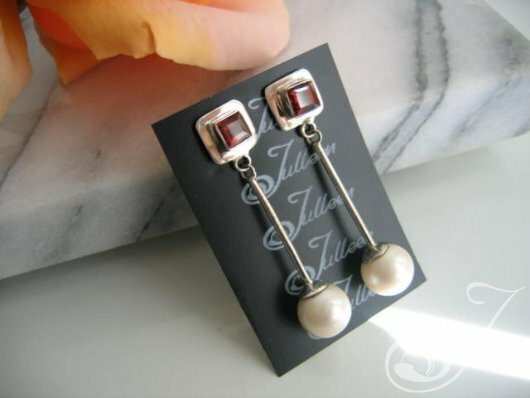 Cherry Red 7mm Garnet Set “on the” Square with10mm White Round Pearl on Designer Drop Tube. All on gorgeous quality Sterling Silver – 48mm.